See how to view where people are clicking to from any page with this quick trick. See how to unlock your own insights! What blog pages are driving the most traffic to your shopping pages? What pages are people going to after landing on the homepage? What products are people going to at the end of a product quiz? Well this is where the next page path dimension in Google Analytics should help you. However they deprecated (i.e. stopped supporting) this metric several years ago so it’s useless! It is actually the same data as your page path dimension now. So you’ll resort to having to use the Behavior Flow report in GA, right? My eyes hurt just thinking about having to use that! For some reason my brain can’t comprehend this report. I’ve tried…a lot. I just can’t make sense of it when there is a decent amount of data. This is easier than you’d expect and only requires a creative report! This example will demonstrate the blog referral to shopping page example – i.e. how many people are you driving to shopping pages from your blog pages? 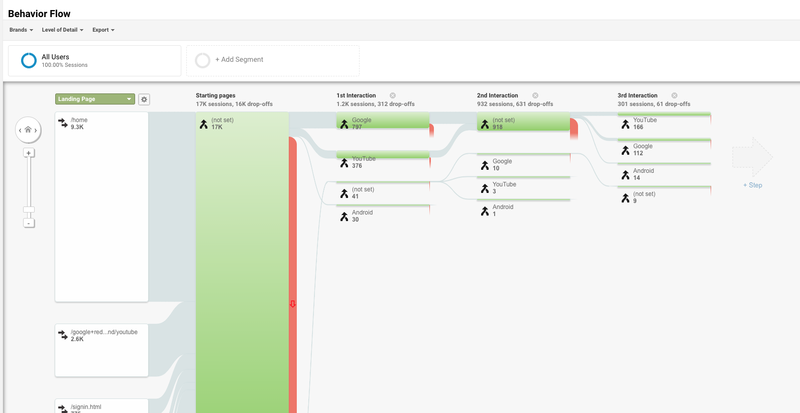 Step 4: Save report and analyze your new insights! That’s it. Once you save your report then you’ll see a list of pages in the first column that were the next page a user visited from the page listed in the 2nd column (which was the previous page path). Give it a try and let me know how it works out for you in the comments below. Join our email where we share our best marketing and analytics tips. That’s a smart idea, Brad! I just created the report and it’s helping. Hi thanks for your tip! I was googling for funnel analysis and ended up here. I have a further question regarding this. If I want to create a funnel analysis report that involves multiple pages in GA, how am I supposed to set this up in GA? As described above, this involves 5 pages and I’m not sure if I can create a report using your explanation above. I’m not a GA expert so it could be due to lack of my knowledge. Would you be able to help? Hi Randy – thank you for the comment! 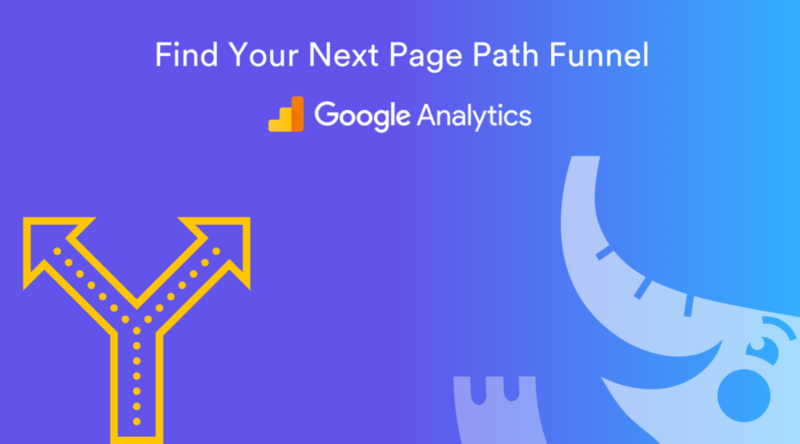 You can do this by creating a “Destination” Goal (under View settings) and then enable the funnel setting which allows you to add steps 1-4 as your funnel steps (step 5 would be your final goal URL). Let me know if that helps out! First it wouldn’t work for me, but then I noticed I had both set to “include”. Changed the appropriate to “exclude” and viola!, works like a charm. Would this work historically or only from the date you created the “Destination” Goal? The report you posted is great, thanks! Hi Claire – for the page path reports they will work historically. When setting up a destination goal the goal will only report successfully after it’s created. Hope that helps!